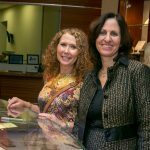 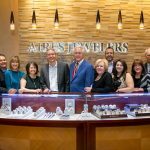 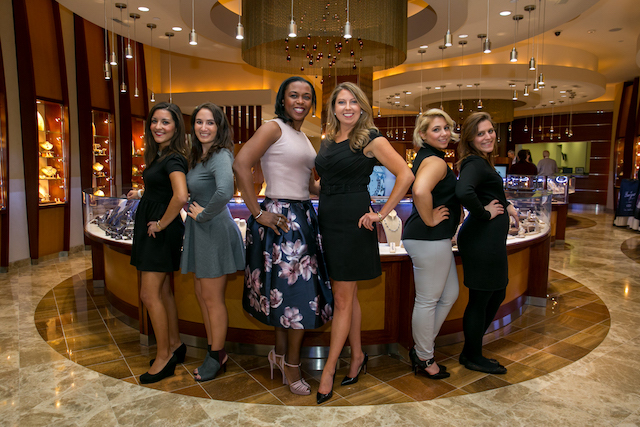 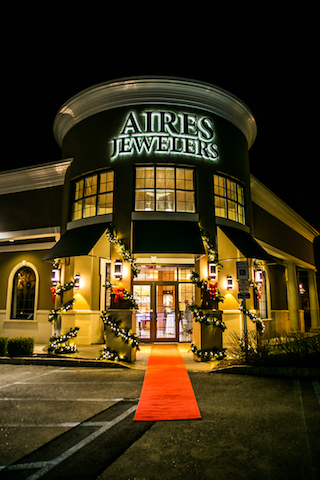 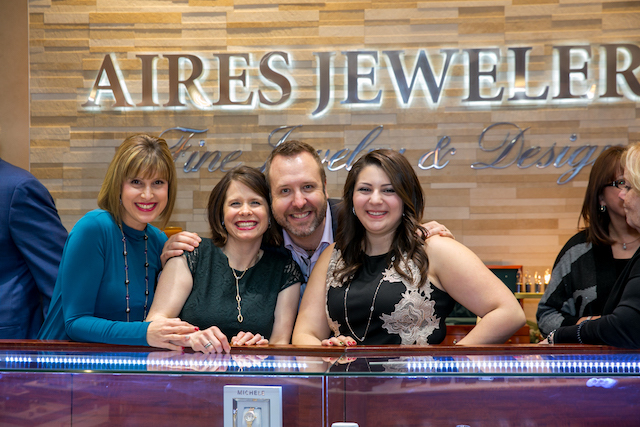 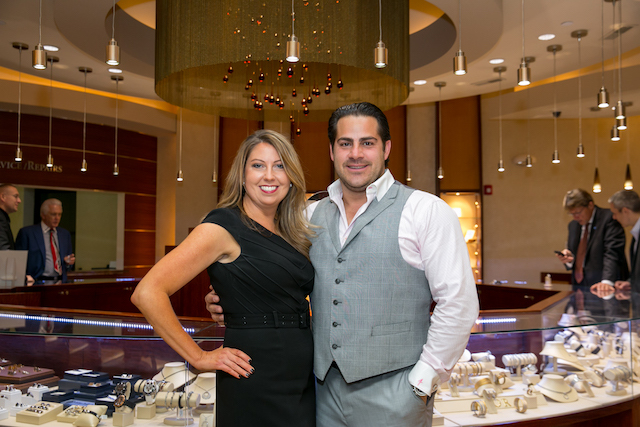 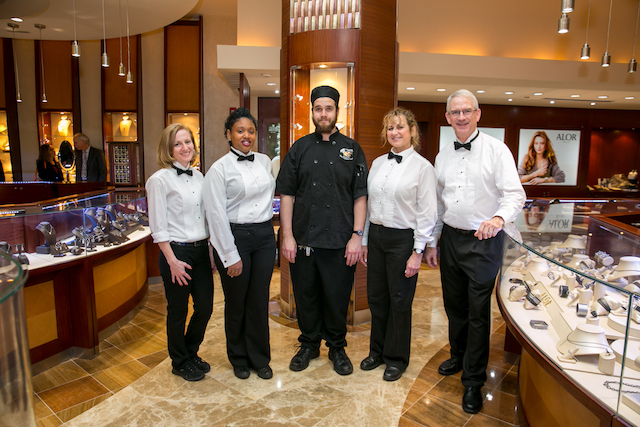 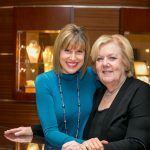 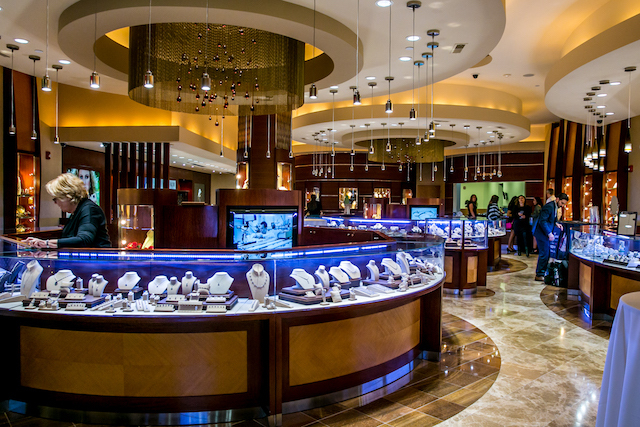 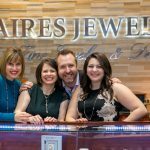 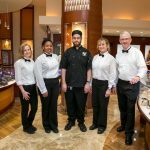 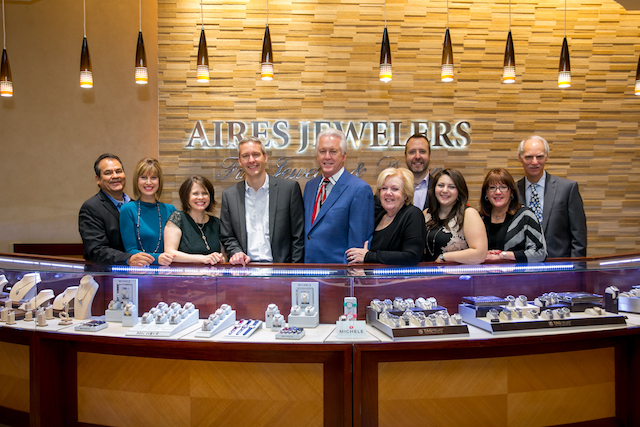 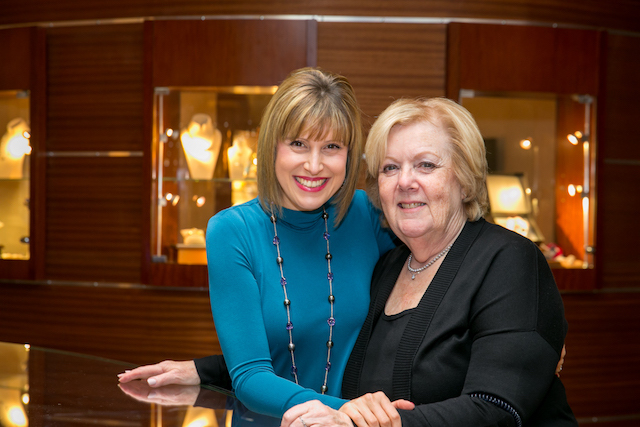 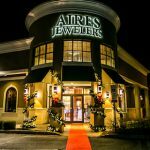 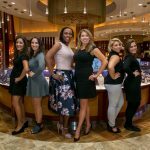 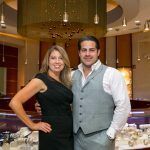 On December 10, HudsonMOD helped Aires Jewelers, a highly respected jewelry manufacturer, celebrate their annual holiday event held specifically for their dedicated and coveted clientele. 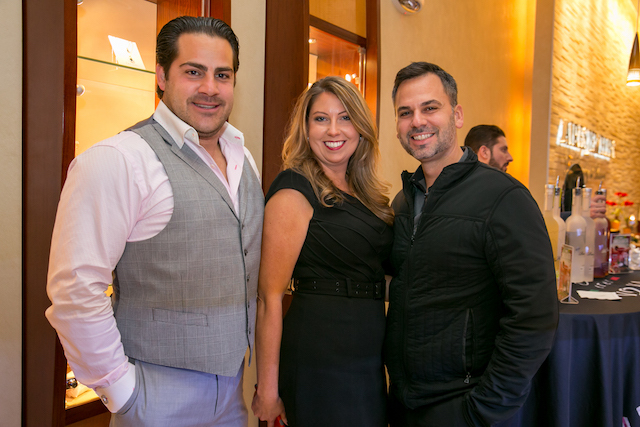 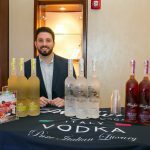 Hosted at their luxury showroom in Morris Plains, NJ, the holiday event garnered much success with over 100 attending guests from the surrounding area. 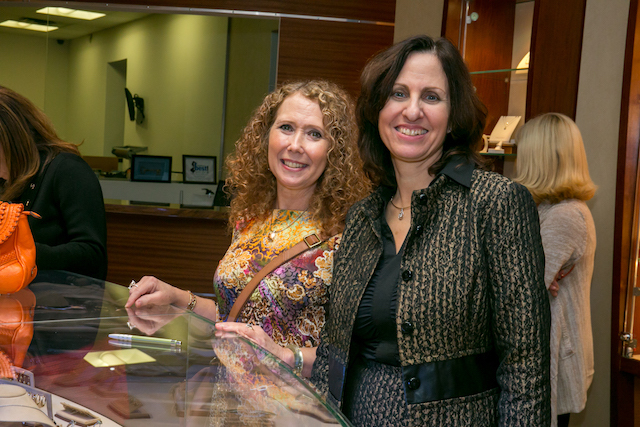 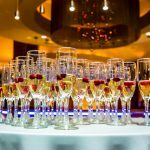 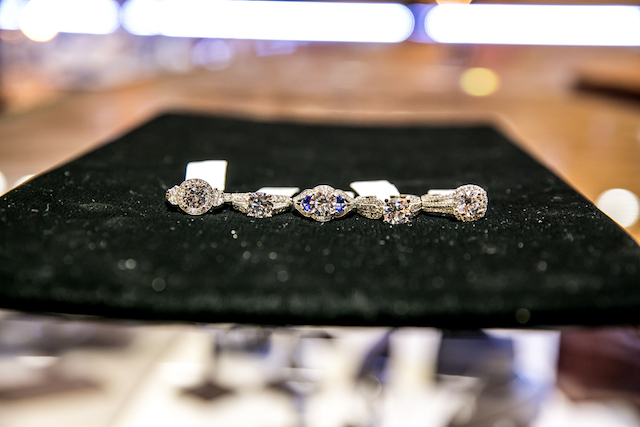 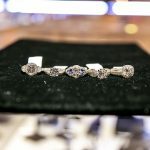 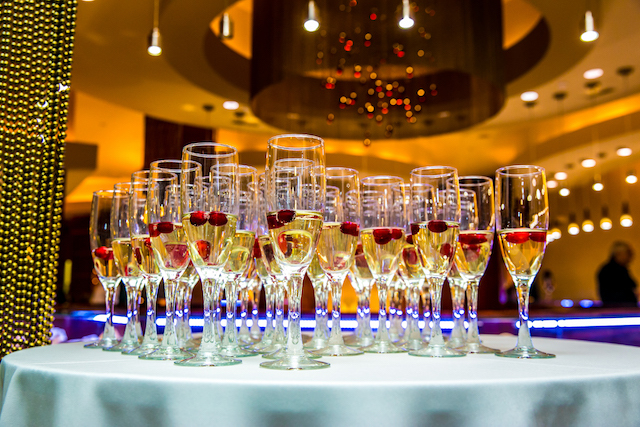 Upon arrival, guests were treated to a flute of Prosecco before browsing a large selection of high-end jewelry on display around the storefront. 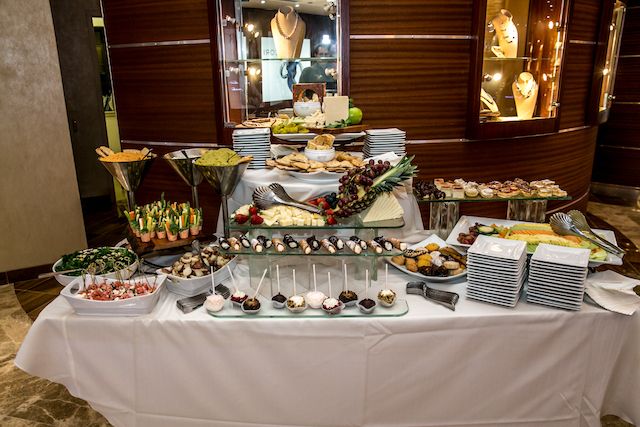 While shopping the collections, guests were served a variety of palatable passed hors d’oeuvres provided by Culinary Creations. 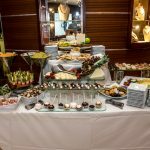 The selection of bites included salmon teriyaki, crudité shots as well as shrimp cocktails. 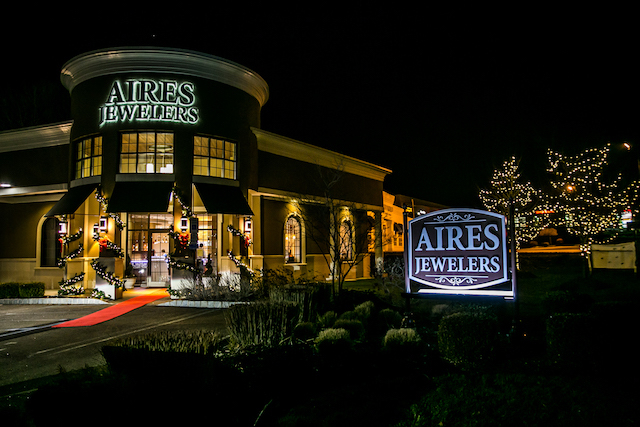 Throughout the evening, a live jazz trio serenaded the crowd with familiar holiday tunes. 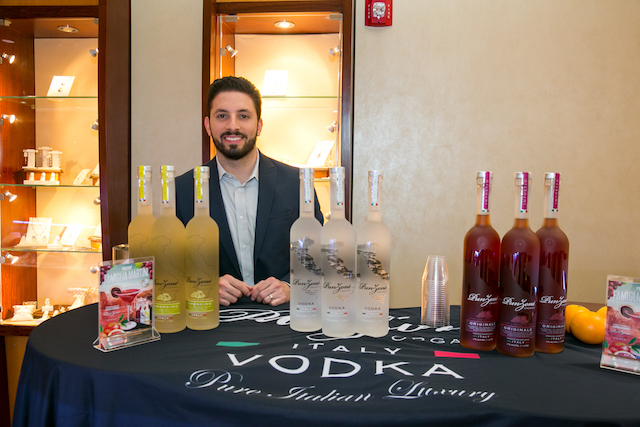 Attending guests were also able to sip on cocktails provided by Punzoné Vodka and selected scotch brands. 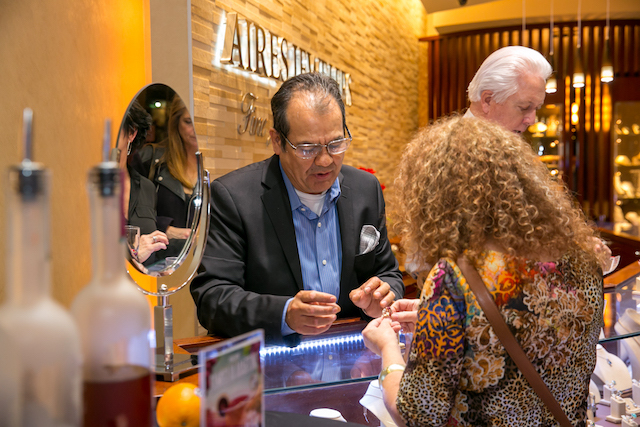 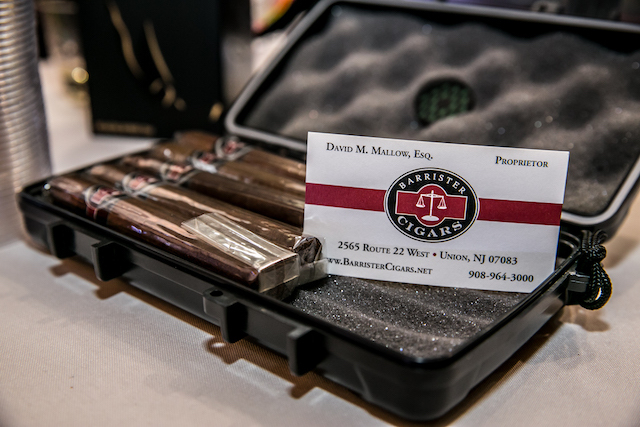 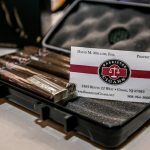 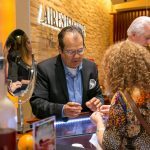 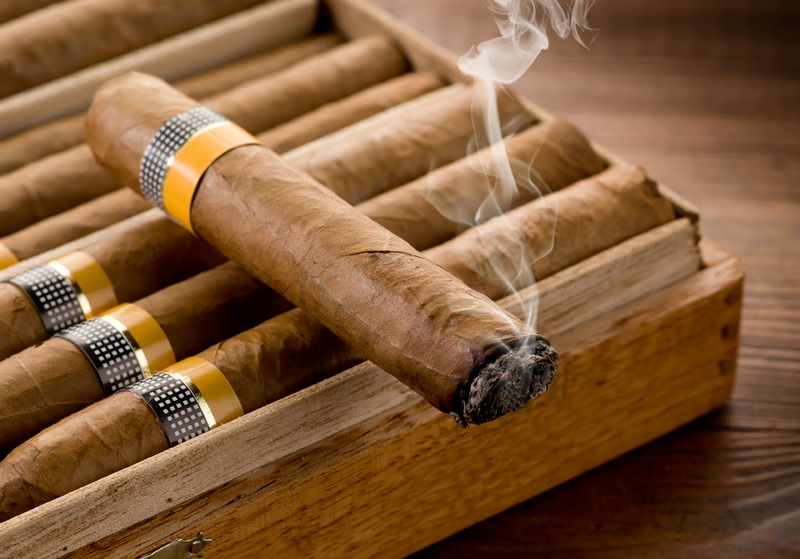 Also located near the scotch bar was a representative from Barrister Cigars, who was passing out premier cigars to interested customers to enjoy throughout the night.